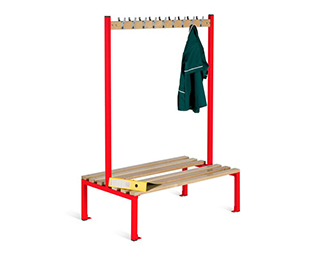 We offer practical selection of basic benches and coat rack benches to add comfort and convenience to your changing room. 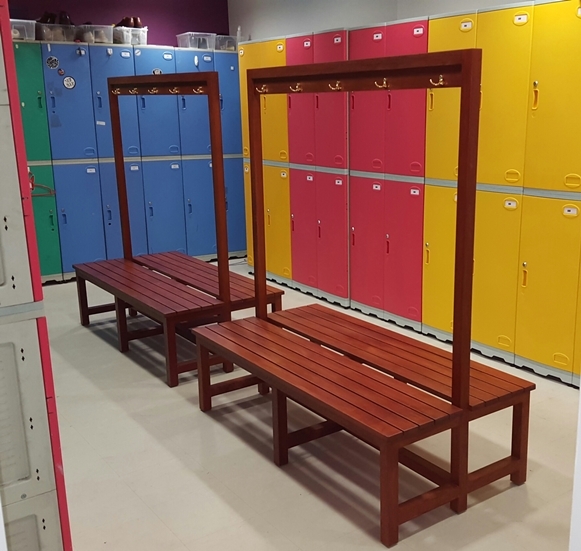 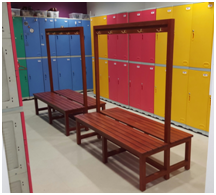 Basic benches are without backrest while our coat rack benches consist of single-side bench for parameter placement and double-sided for island placement in a changing room environment. 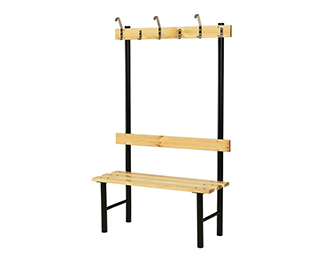 There are various models of the single sided and double sided coat rack benches that offer between 6 and 16 hooks and backrest if requested. 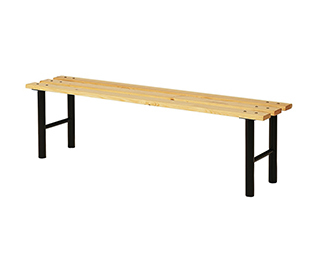 Benches can be supplied in all wood or metal frames with wooden seat slats. 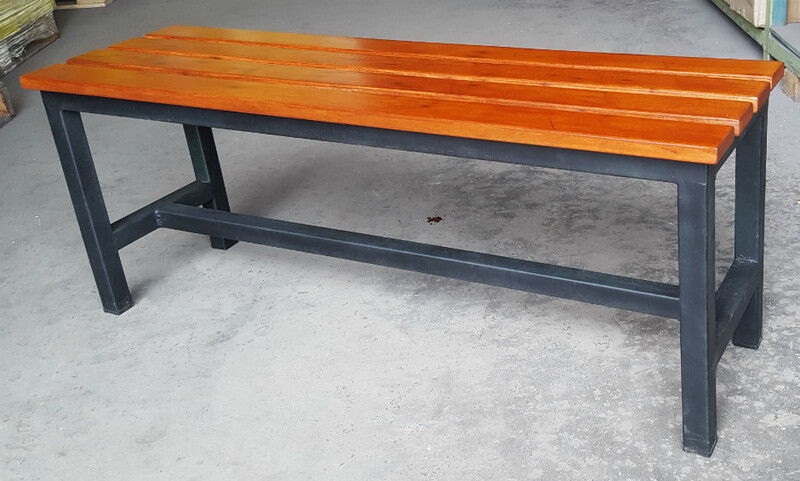 Seat slats are made from various hardwoods like Merbau, Balau, Chengai, Nyatoh and compressed wood. 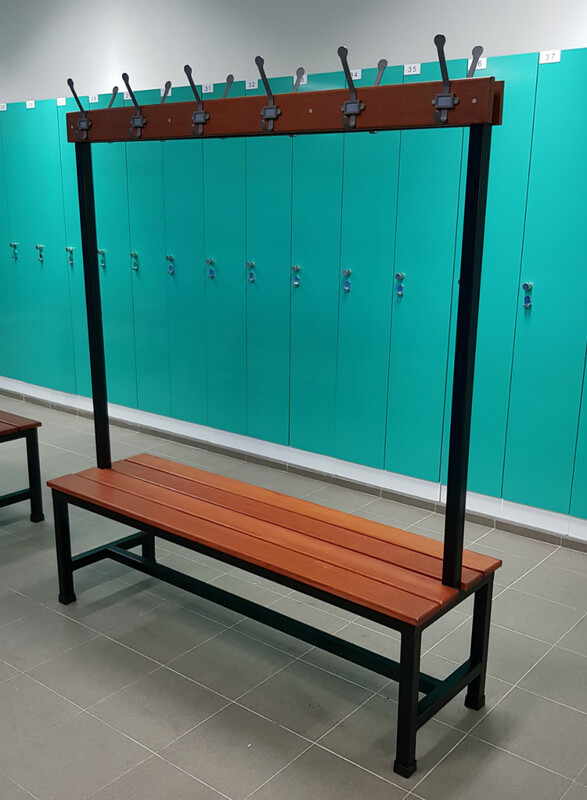 Seating timbers are 85mm x 28mm hardwood slats which are sanded, sealed and varnished with eco-friendly finish or lacquered with a tough hardwearing lacquer to give the changing room furniture a tough and durable finish.Bench frames are constructed from stainless steel or strong 38mm x 38mm RHS steel then coated with protective paint to give them a durable and stylish finish.